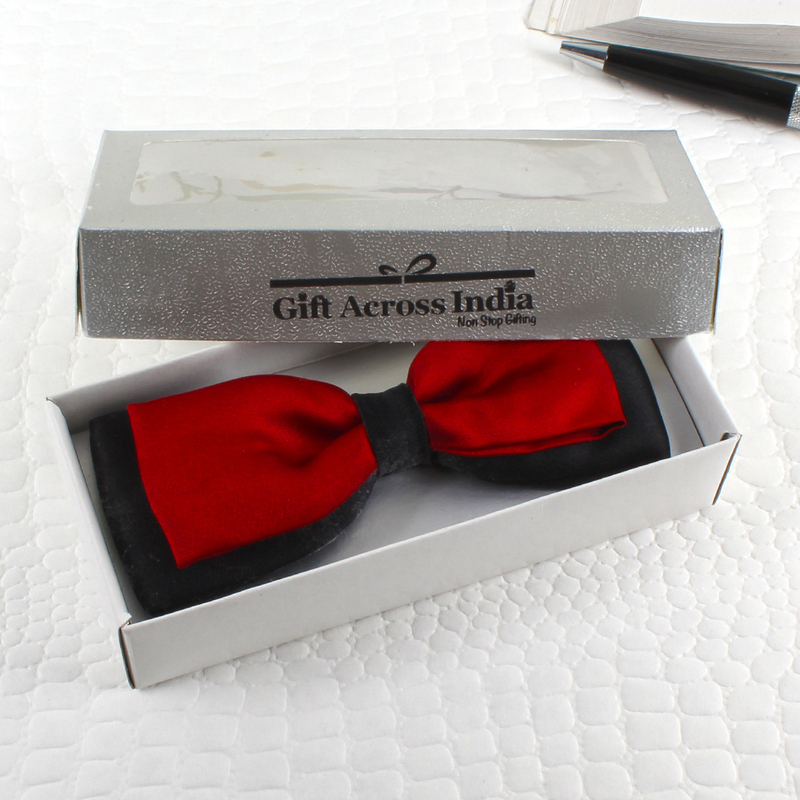 Product Consists : Red and Black Panel Bow Tie Micro Jacquard along with Silver cufflinks and Tie Pin design in between diamond beads and golden strips. Giftacrossindia.com presents this Mens hamper set, which is a perfect gift for your husband,father,brother and many more on his birthday,anniversary or to make his day more memorable. 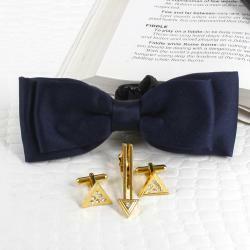 This attractive combo for men comprises a Tie Pin, Bow tie and a pair of cufflinks. The all items are made from a good brand stuff, which makes this combo superior in quality and a valuable pick. 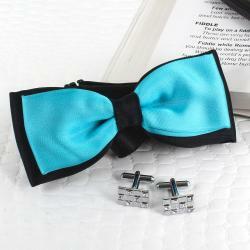 Amazing gift combo of Giftacrossindia.com which is best for gifting. 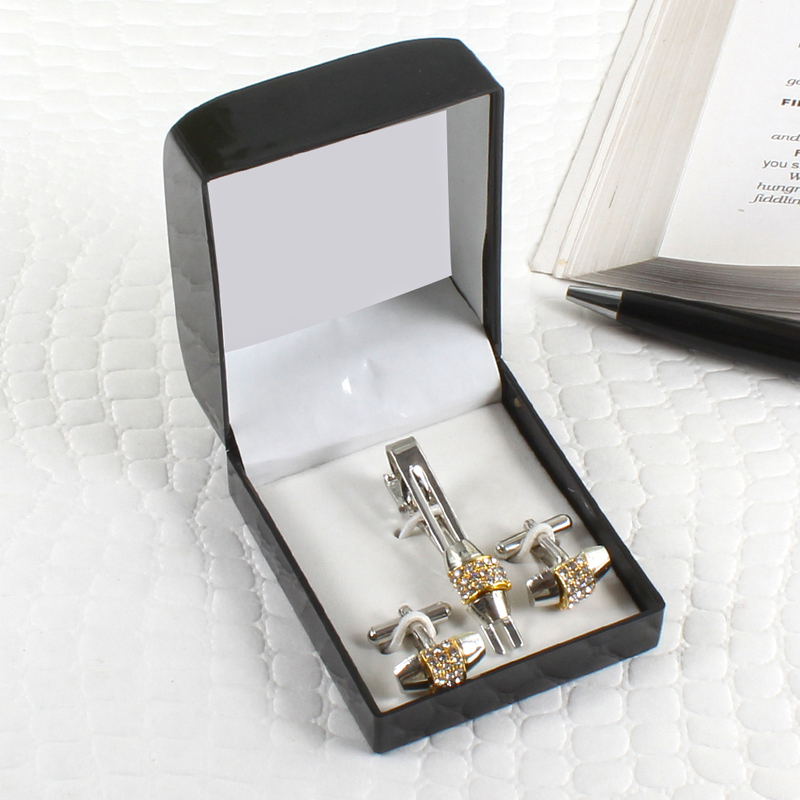 This adorable gift hamper is perfect to make your man feel special be it your father, brother, fiance or husband. This gift item is bound to bag appreciation of the receiver. 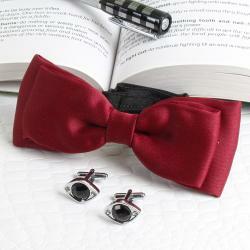 Red and Black Bow Tie is the best combination of bow. It suits on any color to wear. 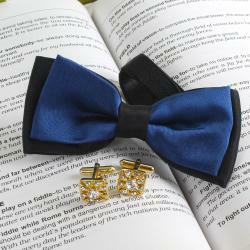 Cufflinks and Tie Pin is crafted with diamond beads in between golden strips on it. 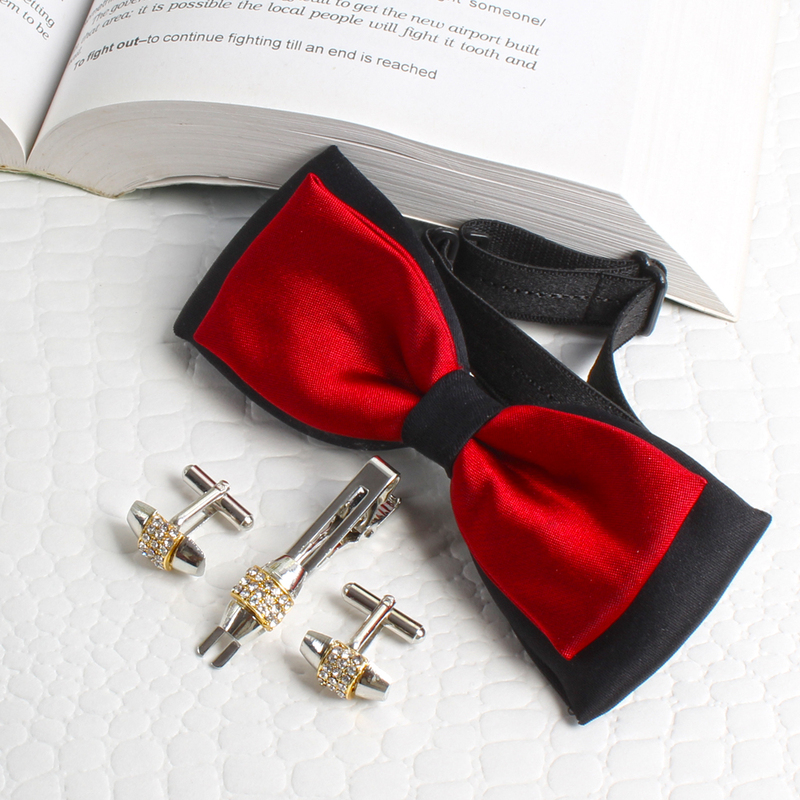 Product Details : Red and Black Panel Bow Tie Micro Jacquard along with Silver cufflinks and Tie Pin design in between diamond beads and golden strips.